WORLD-BEAM QS18 Universal Volt; Diffuse Vis’ble R. Range: 450 mm; Input: 20 to 270V ac/dc. Output:LO; N-MOSFET (Sinking). 2m Cable. Range: 450 mm; Input: 20 to 270V ac/dc. WORLD-BEAM QS18 Universal Voltage; Diffuse Visible Red. Range: 450 mm; Input: 20 to 270V ac/dc. Output:LO; N-MOSFET (Sinking). 2m 600 Volt Cable. WORLD-BEAM QS18 Universal Volt; Diffuse Vis’ble R. Range: 450 mm; Input: 20 to 270V ac/dc. Output:LO; N-MOSFET (Sinking). 150mm Pigtail Micro Quick-Disconnect Connector. WORLD-BEAM QS18 Universal Volt; Diffuse Infrared. Range: 1 m; Input: 20 to 270V ac/dc. Output:LO; N-MOSFET (Sinking). 2m Cable. Range: 1 m; Input: 20 to 270V ac/dc. WORLD-BEAM QS18 Universal Voltage; Diffuse Infrared. Range: 1 m; Input: 20 to 270V ac/dc. Output:LO; N-MOSFET (Sinking). 2m 600 Volt Cable. 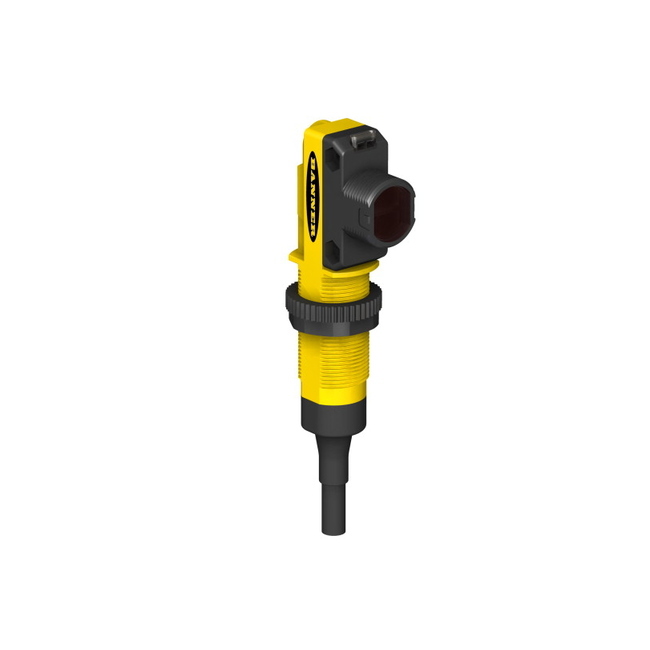 WORLD-BEAM QS18 Universal Volt; Diffuse Vis R. Range: 1 m; Input: 20 to 270V ac/dc. Output:LO; N-MOSFET (Sinking). 150mm Pigtail Micro Quick-Disconnect Connector.